Hey let's throw snakes at him, Oh wait we're better than that. He has more of a chance of joining Al Hilal than Al Rooty Hill. I wish I could believe you hey, we can say what we like about their club - there's endless insults... but they at least know to win trophies you need to sign the talent. They lose a player like Bobo so they go out and sign a player like Le Fondre. Whereas we just can't seem to get the marquee thing right, and it shows. Compare Babbel to Corica. I'm happy with our coach. 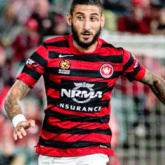 If I was, i'd be using Government assets to find out who WSW are signing next season. These constant articles about IS fans wanting to come home is just to soften the public up, anyone notice they keep moving the goalposts if the article doesn't strike a cord ?. I would be seething mad if these kids ended up back here and in my daughter's class. They're not worth the risk. I have a security clearance. I'm aware of the damage he caused. People are going down the whole 'governments are evil and he's exposing their immorality' road and aren't aware that releasing documents marked 'top secret' puts lives at risk. FYI East Sydney's NPL team is just as scummy and just as favoured by the ref as their A League team. They lost tonight though. Here's your options Riera. Earn what you're getting paid or we'll replace you. He should be taking defences apart single handed yet several games you wouldn't even know he's playing. Interesting, i've heard JT mention a League's Club type setup at Rooty Hill but it's kinda out of the way. There's a cricket oval behind our new stadium that'd be perfect, we could have a club there and stop WSW fans putting money into the Eels League's Club on gameday. Best news ever, what a fantastic end to the week. I have no issues with any player leaving as long as their replacement is an improvement. It's the only way to climb out of this miserable recruiting roundabout for the last few seasons. That's the type of language I expect from JT. However he also said the same thing about the unwanted new A League team and FFA FC still got their way. Providing Roly plays in position, ABJ actually turns up, Riera remembers how much he's on & why, Elrich remembers he plays in the A League not NPL2, Llorente remembers he's a professional player, Vedran doesn't do a Vedran - we're in with a shot. Duke will be my pick for man of the match, I can sense it now. Brillante is in all sorts mentally right this minute after last nights hilarious stuff up so you'd want to be targeting him all night. Apart from ripping a trophy out of their slimy arrogant self-entitled Eastern Suburbs hands and giving it to Popovic there's not much in this. It's just like the harbour cruise incident, people are rightly questioning if they even give a ****. Wow, I would have put On The Buses in the top 5. I grew up with that show. The FFA is far too stupid to this be proactive, they're asleep at the wheel. They don't represent the West, they're a team for all of East Sydney to be proud of. Kogarah for them or they can end up in the Parra river like their stupid tifo. I guess, I don't know the others well enough apart from the odd knock on the door from the watchtower weirdo's - I just took a keen interest in Hillsong after they turned up to my parent's street in Doonside with some kind of working bee and started mowing people's lawns. The upper middle class winners from Castle Hill come to help the downtrodden struggling residents of scumsville, it was extraordinarily condescending. and Hillsong. It's criminal that vile organisation makes over $100 million per year and doesn't pay a cent in tax. The only thing I felt was at half time when even being 1-0 up I just pictured Newcastle saying to each other 'if we just go at them they'll crumble'. They're going to have to pay out Vedran's contract and he can go elsewhere, like he already does mentally during a match when we need him. 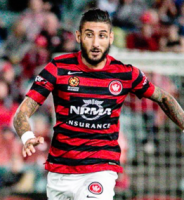 I think it's an A League wide thing, get your Agent to drop a rumour about you signing for WSW if you're looking for a good contract extension. Also Tokich was being touted as the next Viduka, what the hell happened there ?